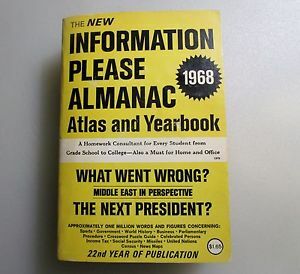 The World Almanac (so named because it was published by the New York World newspaper at first) is still around. Information Please is an informative website. I found this indispensible for numerous school reports, and enjoyed skimming it for all sorts of stuff.